Anyone who travels the length of Vietnam will notice many changes that occur from one region to the next. From landscape to language, climate to culture, etiquette to ethnicity: the list is long and fascinating. 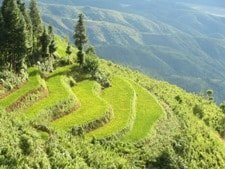 Whether you’re a traveller, an expat, or even a local, one of the most interesting aspects of travelling through Vietnam is observing and experiencing these changes. In the past, some regional differences evolved into divisions, leading to animosity and, in some cases, conflict. 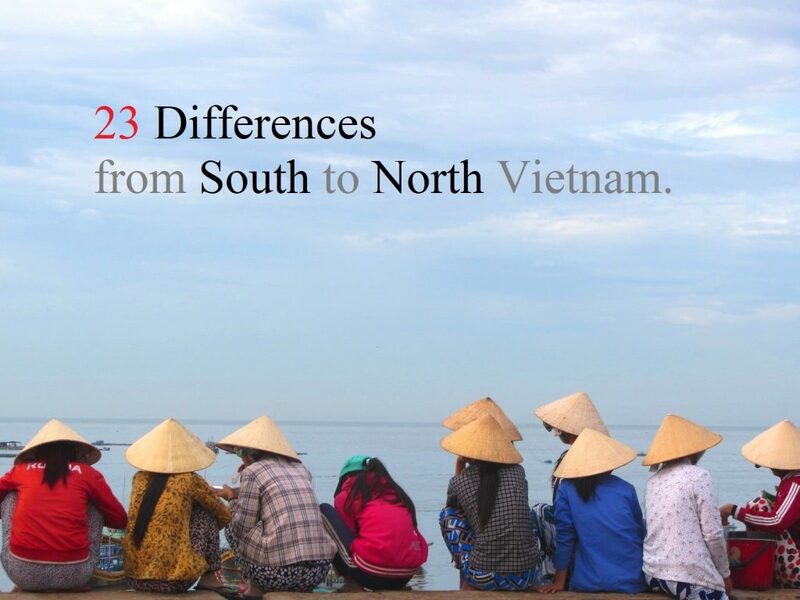 But today, although there’s still plenty of healthy and (mostly) good-natured rivalry between regions, Vietnamese and foreigners alike are embracing the different characteristics of southern, central, northern, coastal, highland, urban, and rural Vietnam. I’ve always enjoyed noting down the changes, whether superficial or significant, that I observe when travelling the length of the country. 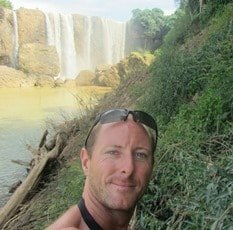 On this page, I’ve listed (in no particular order) and described some of the changes I notice whenever I travel the length of Vietnam. Most of the following observations are ones I’ve jotted down while on motorbike road trips between Saigon and Hanoi. Because I’m based in Saigon, and many of my road trips start from here, I’ve written these changes from the point of view of moving from south to north. My road trips are when I’m most aware of the changes that occur from one region to the next: some are obvious, some subtle, some important, some frivolous. This list is by no means exhaustive and is entirely subjective, based solely on my own experience of traveling between Vietnam’s two major cities over the last 10 years. Although I live in Saigon, I have no allegiance to any specific part of the country: I love all regions of Vietnam. Maybe it’s something to do with cold mornings during the winter months, but life seems to start later the further north I travel. 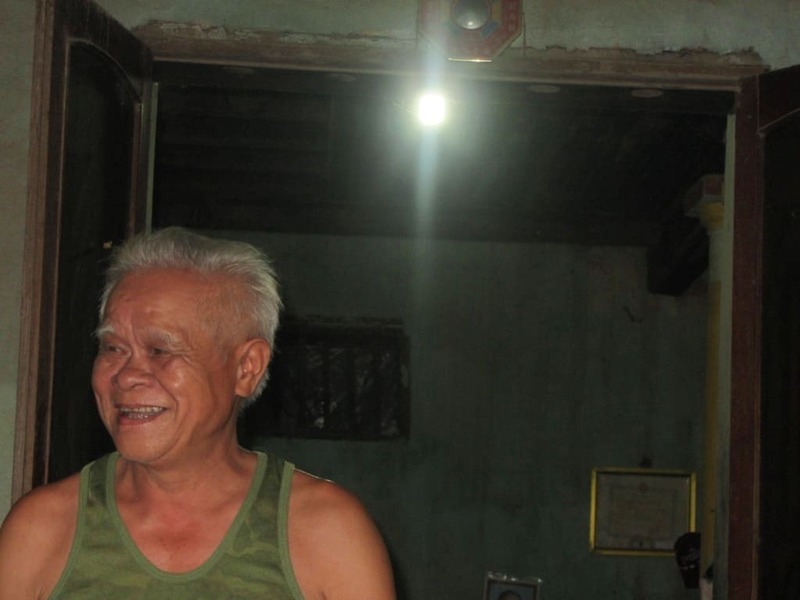 In Saigon, the Mekong Delta and along the southern coast, the streets and markets are busy long before the sun has risen: life and activity starts from at least 5:00am. But, the further north I go, the later the hour becomes. I’ve been for morning runs at 7:00am in some northern towns, and there’s still very few people in the streets. At this time in the southern towns, I’d be dodging people, vehicles and cattle. When I travelled in India it was the same: life started earlier in the tropical south than it did in the temperate north. 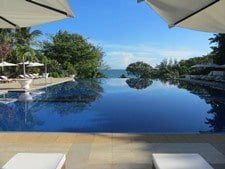 Because Vietnam is such a long and slender country, the northern days are longer in the summer months and shorter in the winter; whereas, in the south, there’s not much more than half an hours’ difference in the length of the days from summer to winter. Personally, I love the high summer days in the north, because it reminds me of the lingering dusks of British summers, where I lived until I was 22 years-old. For me, tea gets better and coffee gets worse as I travel from south to north. Tea in the south is often served iced: the classic southern tea is a tankard of wonderfully aromatic jasmine tea, with a large chunk of ice. This is just what you need in order to cool down on those hot, sultry, southern days. As I travel north, especially through mountainous regions, tea is served warm, tepid and (sometimes) hot. The varieties change too: artichoke, lotus and pandan leaf in the southern Central Highlands, and strong, bitter green tea in the north-central provinces, for example. But, whenever I travel south to north, I’m always anticipating my first glass of chè lá tươi – fresh leaf green tea. This is a large tea leaf that, as far as I understand, has not gone through any drying or oxidation process. The tea leaves are steeped in hot water in large metallic tea pots (often in beautiful woven bamboo tea cosies) and served warm in a glass. The flavour is citrusy, tangy, and flowery. It’s like no other tea I’ve tasted. 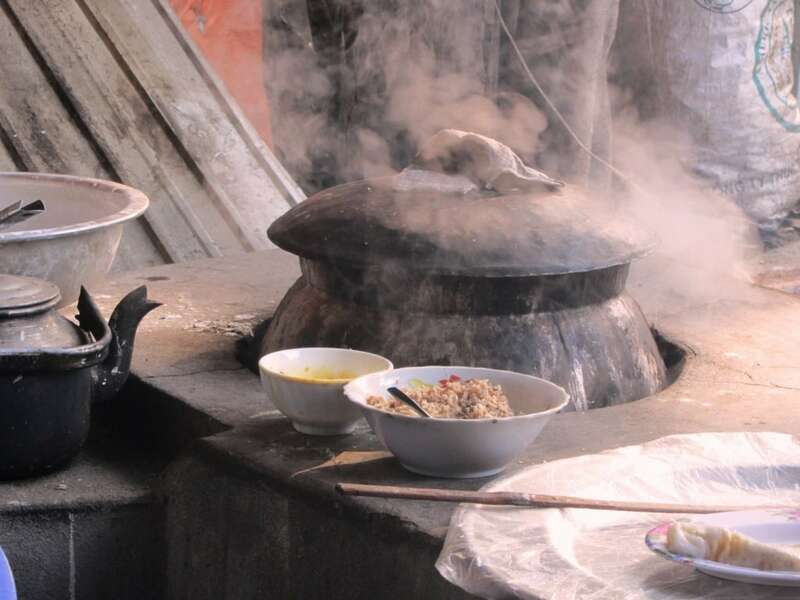 For many years, the flavour and smell of chè lá tươi defined the north for me. From the mountains north of Hue onwards, fresh leaf green tea is the default variety served in roadside shacks and tea houses. Even the word for tea changes in the north: trà becomes chè. 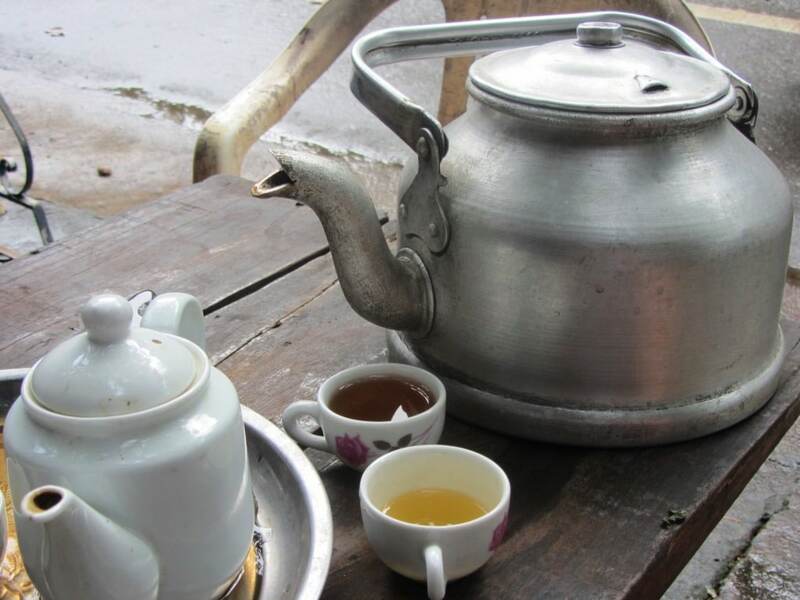 Corresponding to the change in temperature of the tea, is the presence of thuốc Lào, literally ‘Lao tobacco’. 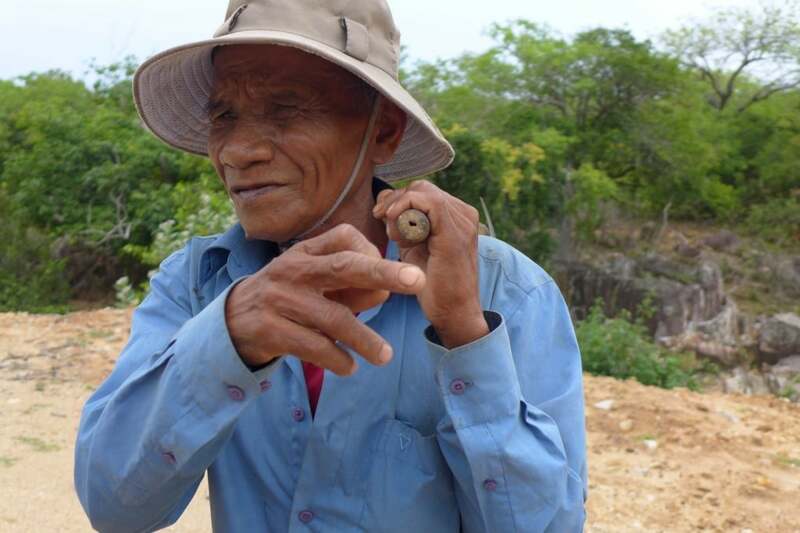 In mountainous regions of central and northern Vietnam, you’ll see men inhaling the powerful vapours through bamboo pipes that make a whistling sound. While in the lowlands they prefer cigarettes, the highlanders prefer the pipe. I’m not a smoker, but I’ll take the deeper aromas of thuốc Lào over a cigarette any day. Coffee is good, strong and plentiful in the south, but becomes increasingly scarce and lower quality as I travel further north, with the notable exception of Hanoi. 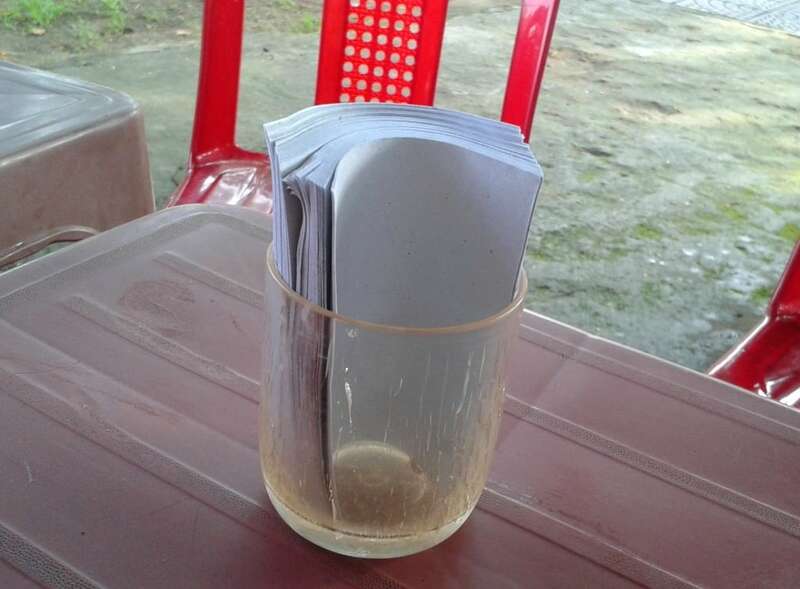 Sit down for a street-side meal in southern Vietnam and you’ll be provided with soft, absorbent tissues (usually toilet paper in a plastic box) to clean your cutlery and wipe any sauce from your mouth and fingers. However, at some point as I move northwards through Vietnam, these soft tissues are replaced by paper squares, which are entirely non-absorbent and only serve to push spillages from one area to another. These paper squares are comically useless at performing their function, but for me they’ve become an indication of reaching ‘the north’. A sure sign of going north is rice wine (better described as rice liquor). The southern alcoholic drink of choice is beer, more specifically, lager. Vietnamese brands, such as 333, regional giants, like Tiger Beer, and bog-standard Western ones, such as Heineken, are ubiquitous in the south. But venture a little north, especially into the highlands, and it’s not long before beer mugs are replaced by shot glasses. A notable exception to this rule is bia hơi – known as ‘fresh beer’. This weak but daily-brewed beer is found predominantly in the north: on a recent south-to-north road trip, I started seeing bia hơi drinking dens from Hà Tĩnh Province onwards, which is in the ‘neck’ of Vietnam. There are also plenty of mass-produced lagers from northern provinces, such as Hanoi Beer and Thanh Hoa Beer. 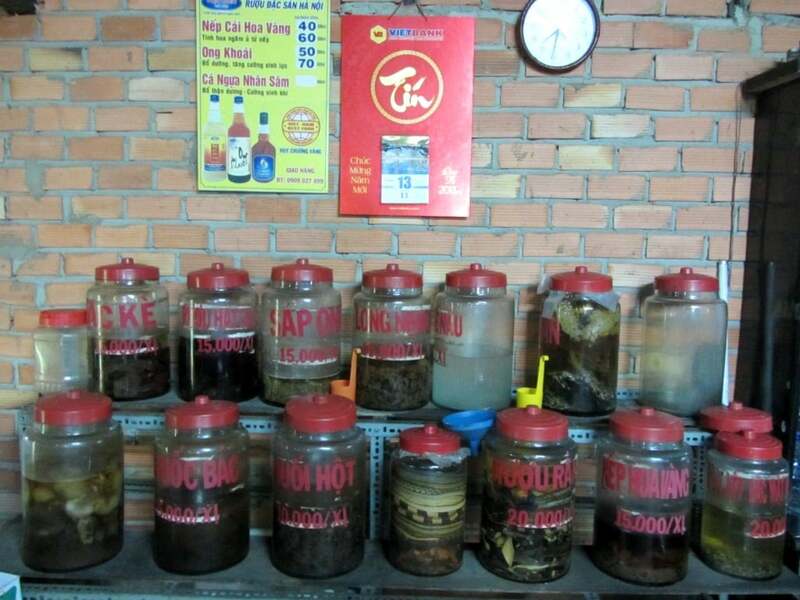 However, lager and bia hơi are but thirst-quenchers with an alcoholic kick when compared to the explosive (literally in some cases) qualities of rice wine. Made from fermented sticky rice (among other things) and often infused with exotic ingredients, such as herbs, flowers, and animal organs, rice wine is almost as common and widely consumed as tea is some parts of the northern highlands. It’s not unusual to find a bottle of clear rice liquor (rượu) on the table at breakfast eateries in the countryside. On many a road trip I’ve been drunk by 7:00am, thanks to hospitable drinking companions over a bowl of breakfast noodles. Rice liquor has deep cultural roots – much more so than beer – and a long tradition of being brewed in people’s homes. It’s still possible to stop by the road and purchase the home-brew of random farmhouses in the middle of nowhere, thus bypassing the (often pretty awful) branded varieties. It’s hit-and-miss, but I’ve had some fabulous ones in the past, the best being a cloudy rice wine with a pale yellow colour, infused with wild jungle flowers, in a homestay in Thanh Hoa Province. Of all the differences between south and north, accent and language is the most obvious. As a student of the Vietnamese language (and a rather slow one at that), I find it fascinating listening to the accent change as I move northwards from Saigon to Hanoi. But it’s not only pronunciation that changes: some words – everyday words – are completely different in the north. The list of examples is long, but some of the ones you’re most likely to encounter include: bowl (south=chén, north=bát), pork (south=thịt heo, north=thịt lợn), soy sauce (south=nước tương, north=xì dầu), spoon (south=muỗng, north=thìa), air-conditioning (south=máy lạnh, north=điều hòa). Naturally, there’s much grumbling among southerners and northerners about which words are ‘correct’. The first change in accent that I notice is around Phan Rang on the southeast coast. 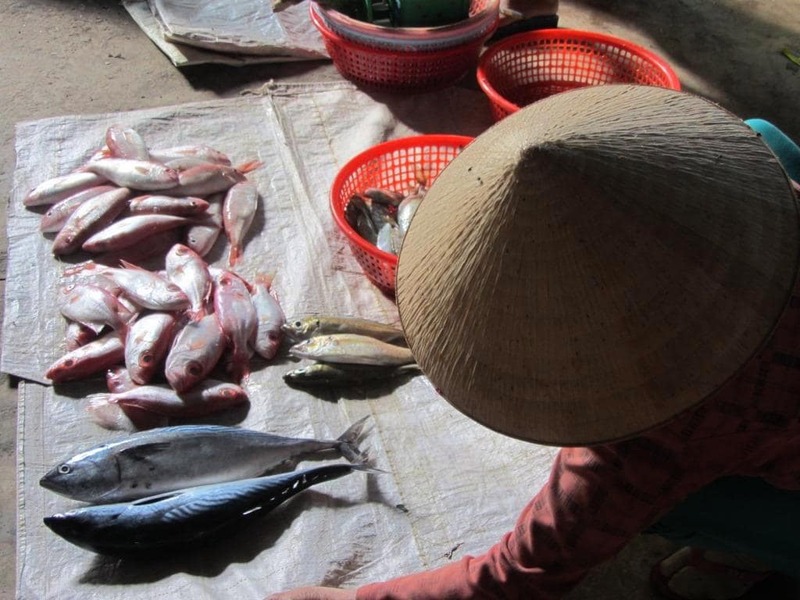 From here to Quy Nhon, ‘a’ is often pronounced ‘e’. Some say the accent in this region may be a legacy of the ancient Indianized Kingdom of Champa, whose major cities were located in this area. 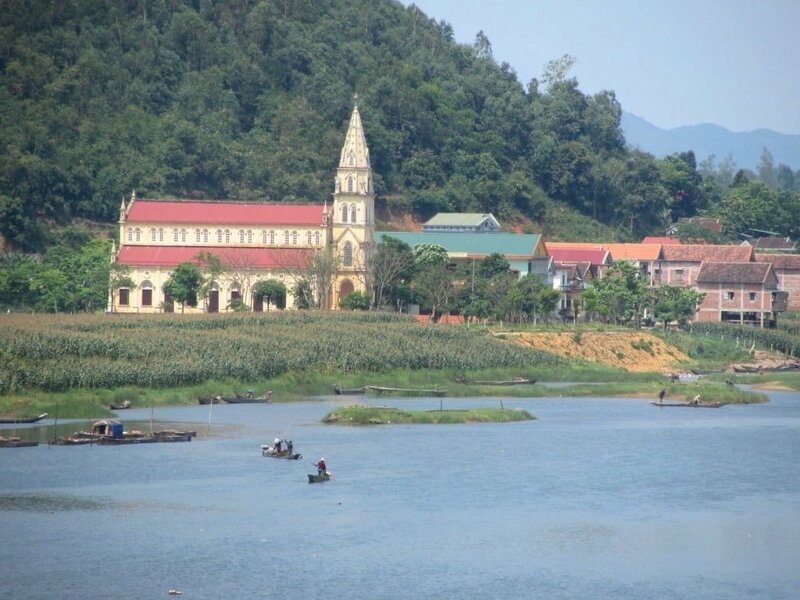 Around Quang Ngai and Quang Nam on the south-central coast, ‘a’ is often pronounced ‘ô’. From Danang to Hue and the rest of the central region, the ‘i’ is much shorter and definite, and the final sounds of some words are clearly pronounced, whereas in the south the final sound is usually silent. 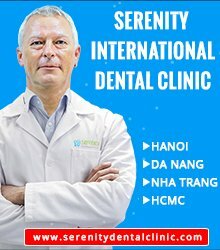 By the time I reach Dong Hoi and the Western Ho Chi Minh Road in north-central Vietnam, the accent is becoming very ‘northern’, with its distinctive ‘zzzz’ sounds and shorter, clipped pronunciation, giving it a much more staccato rhythm compared to the long and whining sounds of the southern accent. I also notice that this northern accent comes sooner in the highlands than on the coast: by the time I reach Prao, almost dead centre in Vietnam, the ‘zzzz’ sound is already common. I like the challenge of trying to adapt to the regional accents as I pass through the country, although the further north I go the more frustrating it becomes, as more and more people find it difficult to understand my own, apparently, southern accent. In the south, people are extremely hospitable, warm and open to foreign travellers, much more so than in the north. But this friendliness and openness can, occasionally, be overwhelming. Sometimes southern hosts are so excited about their foreign guests that their hospitality runs to excess. 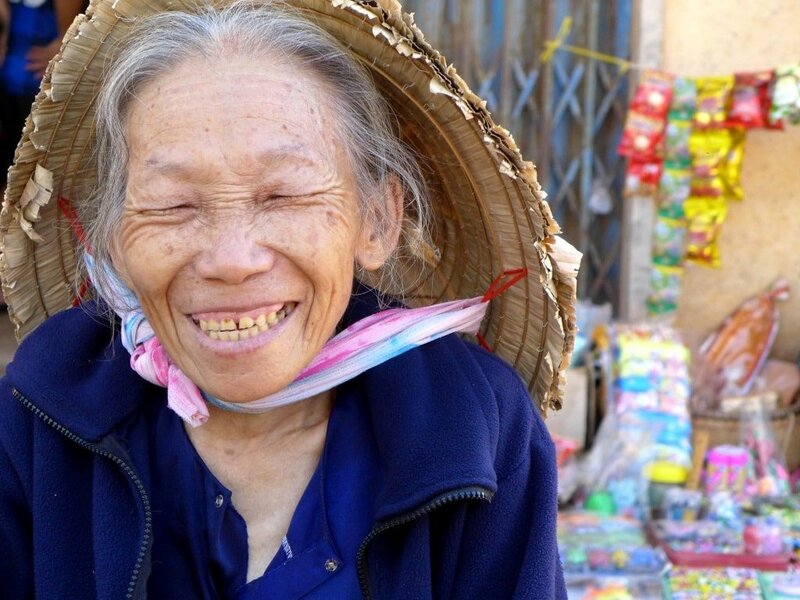 Don’t get me wrong, I think this is a wonderful characteristic of southern people, and an encounter with southern hospitality is a highlight of many travellers’ experience in Vietnam. But the point I want to make is that, in the north, hospitality is more restrained and formal. As a guest, I feel more comfortable with the latter. With northern hospitality, in my experience, I’m less likely to be forced to drink until I can’t stand up; and, because speech is clearer (i.e. not slurred), I’m more likely to be able to follow what’s going on. 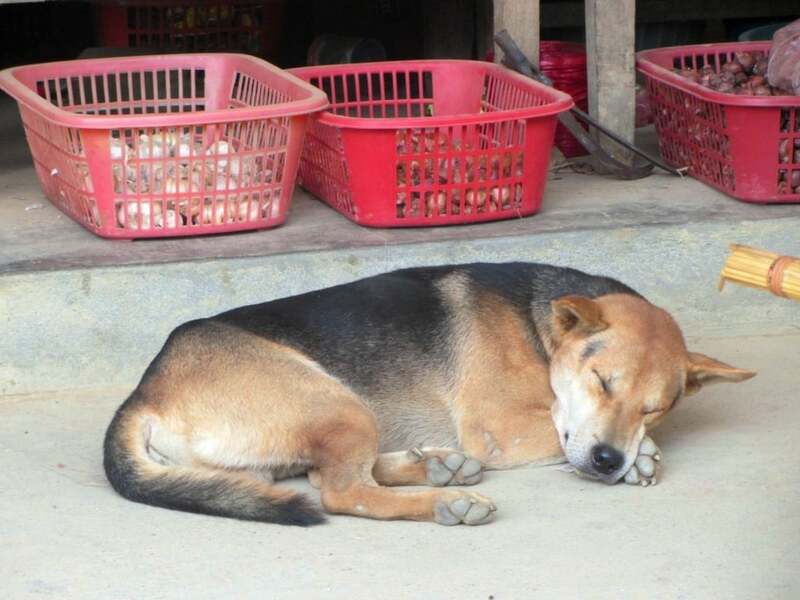 Dogs are a common sight all over Vietnam: whether pet dogs, guard dogs or dogs bred for consumption, you’re never far from a canine in Vietnam. I’ve always noticed that dogs in the north are more sedate, well-fed and healthy-looking than those in the south. This seems strange, as they are also far more likely to be on the menu in northern Vietnam. Road conditions get worse as I ride north. This is mainly because of the terrain and weather conditions in the northern half of Vietnam. Mountains, valleys and rivers mean that almost every northern road is a network of passes, hairpin bends, dykes and bridges. 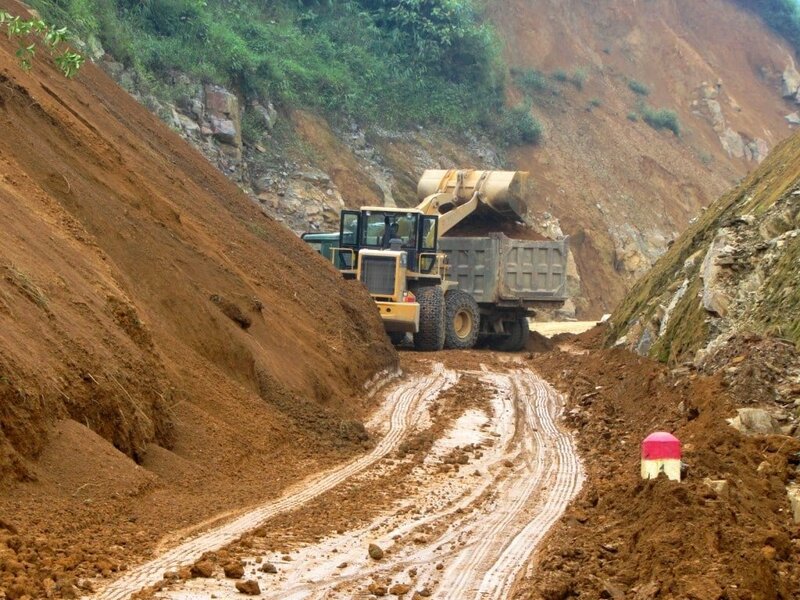 Harsh winters and summer typhoons mean that landslides and flooding often wipe-out large sections of road. Potholes and mud are common, and progress is much slower than in the south. Northern drivers have a tendency to honk their horns more than southerners, and basic road rules are more commonly disobeyed in the north than the south. One of the most obvious of these is skipping red lights. Nowadays, in Saigon, drivers do actually stop at red lights and wait for them to turn green before shooting across. But, in Hanoi, a red light is still treated as a suggestion rather than a rule. Drunk and reckless driving is a problem all over Vietnam, but in northern areas it seems much worse to me. Perhaps this explains why there appears to be a larger traffic police presence in the north. There are certain smells that define the north for me. One that stands out is a vine leaf, often referred to as betel leaf. Used for cooking in many northern dishes, the scent of this aromatic green leaf fills the air as I ride further north, especially in mountainous regions. 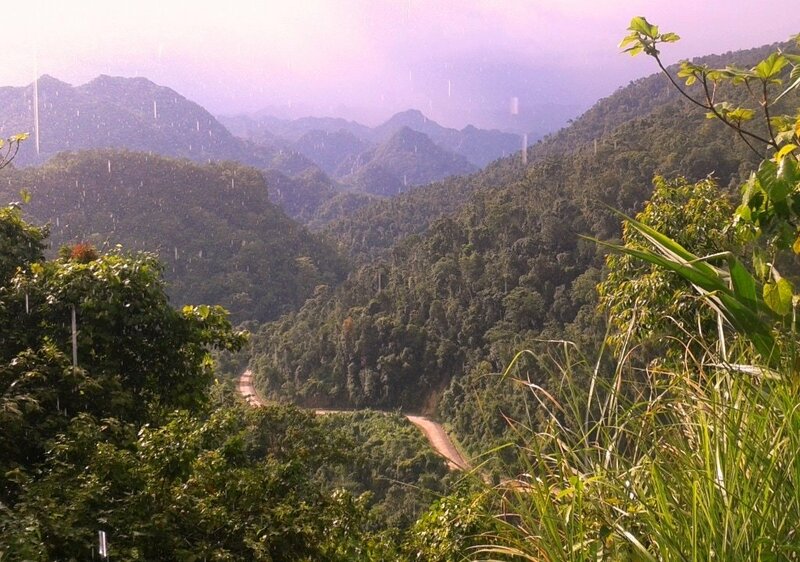 The fragrance brightens up grey, misty days on the Ho Chi Minh Road north off A Luoi, for example. 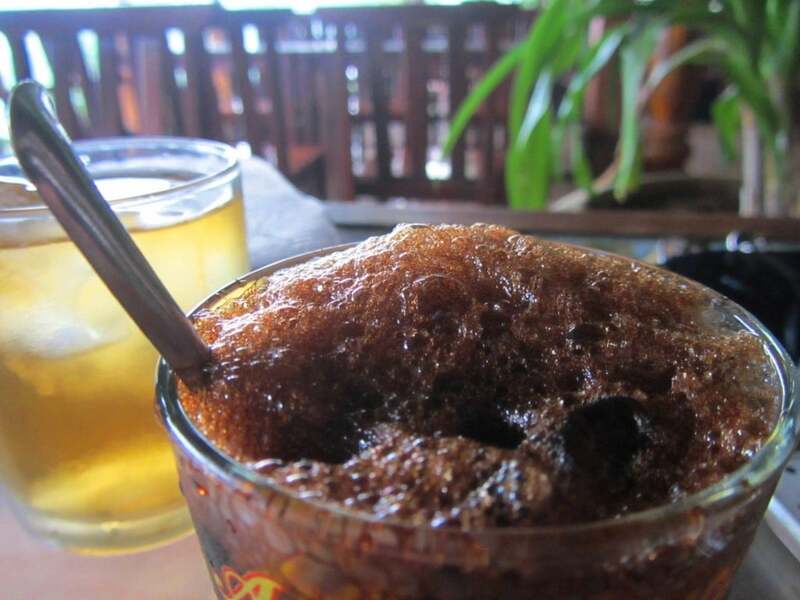 Another common smell in the north is the sweet scent of rice alcohol, which fills many a roadside eatery and permeates the air in highland villages. And I have already mentioned the citrusy tones of fresh leaf green tea. There are many climatic differences between north, south and central Vietnam, which I have written about here. But, aside from seasonal differences, I find weather to be simply more unpredictable and changeable as I move northwards. North of Hue, regardless of what month I’m travelling, each day consists of multiple weather conditions. Hot, cold, humid, dry, wet, windy, overcast, clear – there seems to be no pattern to it, and I never know what to expect. There’s more of a sense of history as I travel north. From old farmhouses and stone walls to temples, shrines and citadels, the past is more tangible in the north. And I like this very much. Street food is not as ubiquitous in the north as it is in the south. 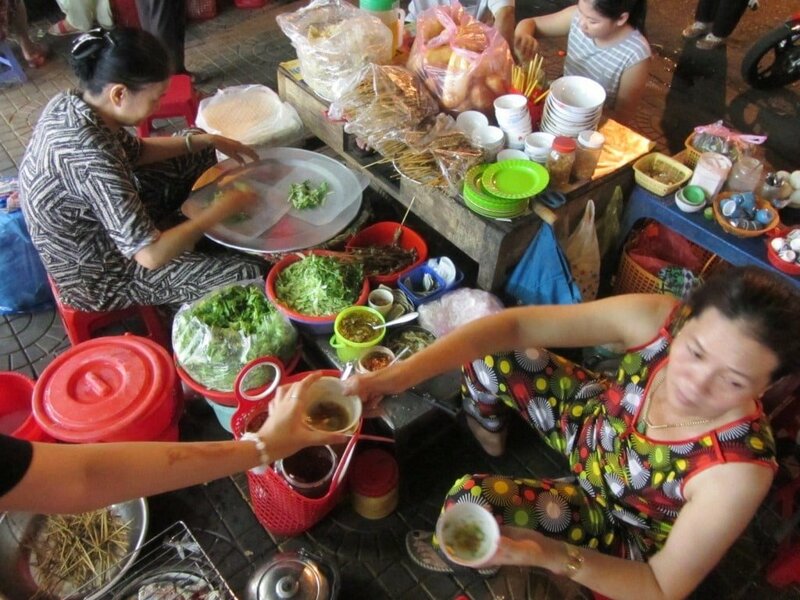 In southern towns, no matter how small or how far off the beaten track they may be, there are always plenty of street food vendors lining the roads in the early mornings and late afternoons. This is not the case in small northern settlements, where street food is less readily available. This is especially true in highland villages. On a recent south-to-north trip, I noticed the lack of street vendors first around A Luoi. And, even when there are lots of food outlets, the variety is not as rich as it is in the south. 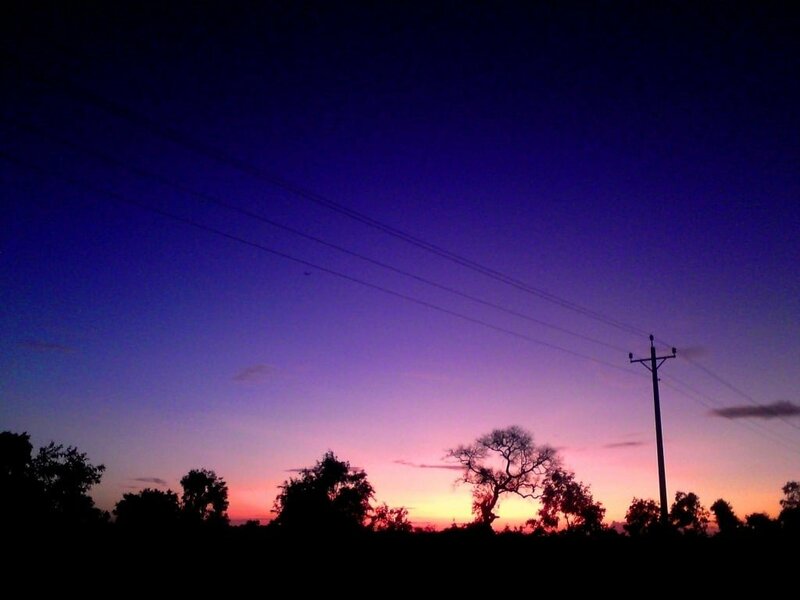 I remember arriving in Huong Khe, a town on the Ho Chi Minh Road in north-central Hà Tĩnh Province, at dusk. I was excited to try all the bustling street food stalls, but, on closer inspection, most of them were selling the same thing. The quality of local nhà nghỉ (guest houses) deteriorates as I reach central and northern Vietnam. 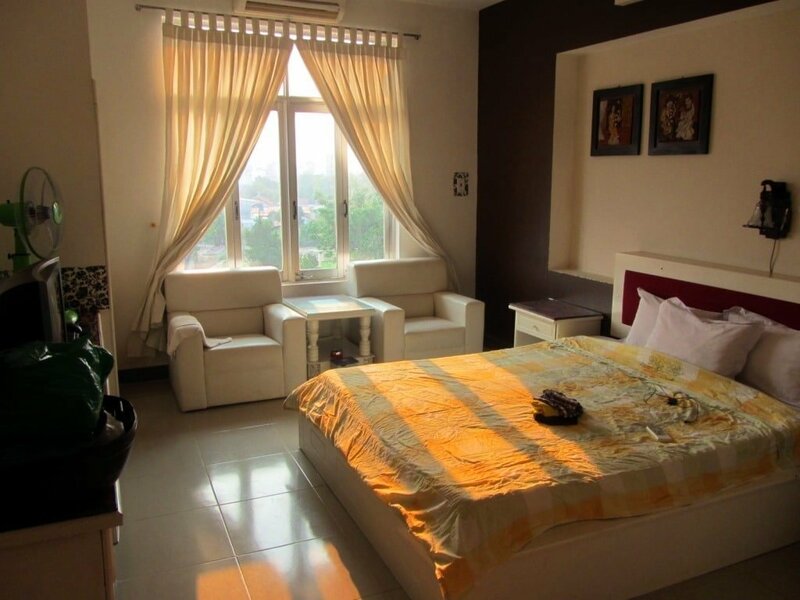 In the south and the Central Highlands, $10 gets you a very clean, very nice room in a family-run guesthouse; in central and northern provinces, standards and value for money are (in general) not as good. This is mostly the case in the mountains or in off-the-beaten-track towns, rather than in large cities. However, the beds get harder as I travel further north, which I consider a good thing. 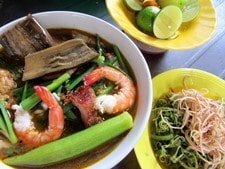 I love eating at cơm bình dân – cheap, local rice eateries. In the south, these places usually offer at least a dozen different dishes from which to choose. 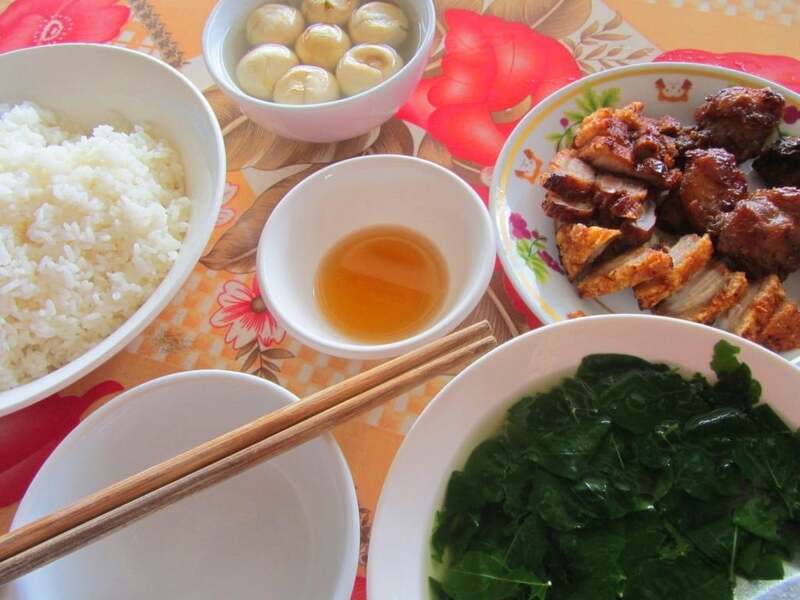 But, as I travel north, cơm bình dân offer a set menu instead, consisting of whatever happens to be in season. I like this idea, and the quality of the food is often excellent. 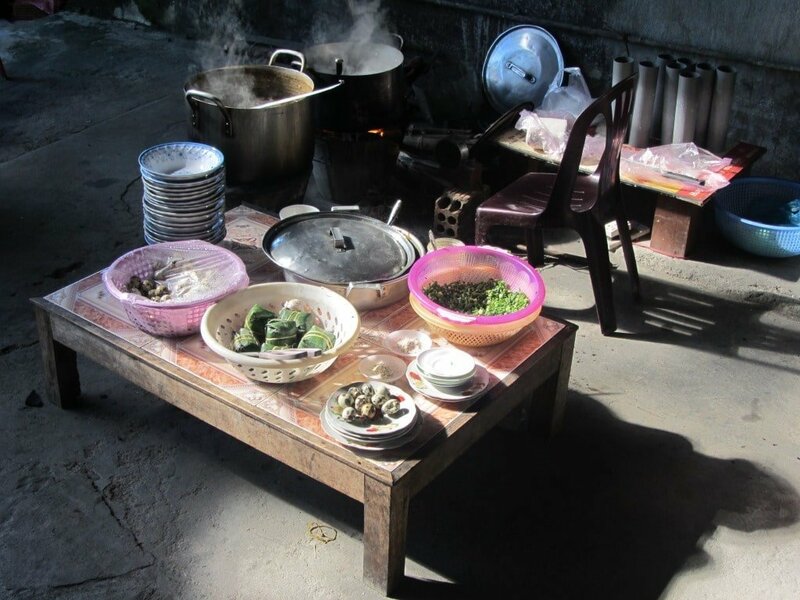 At local rice eateries in the north, rice is served from a big, communal bowl at the centre of the table, and then eaten from a separate small bowl, rather than on plates, which is more common in the south. Rice is stickier, tastier, and more fragrant, and there’s more of it compared to the south. Because it’s stickier, diners eat rice with chopsticks, not with a fork and spoon as they do in the south. Phở, the famous beef noodle soup, gets richer and better along the coast and delta regions as I travel north. However, in the mountains, the phở gets more watery and, in some cases, pretty darn bad. 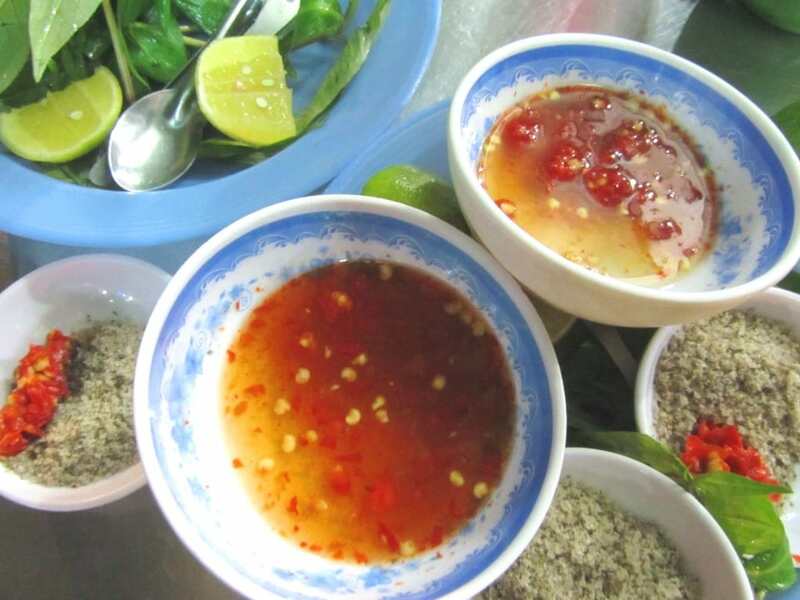 The essential Vietnamese condiment, fish sauce is served with (or in) every meal, whether in southern, central or northern Vietnam. But, the further north I go, the more likely I will be served salty fish sauce, as opposed to sweet or sour fish sauce. I prefer the salty variety because it’s a purer form of fish sauce, and it goes really well with plain steamed rice. But it should also be noted that northern cooks sometimes dump a spoonful of MSG in the fish sauce, to give it a ‘fuller’ flavour. Sweet and spicy are fundamental elements of southern and central cuisine. But, as I move northwards, there’s more saltiness and sourness to the food. Pickles are common, and certain herbs and leaves are used in northern cooking that I rarely find in southern dishes. Aromatic vine leaf (often referred to as betel leaf) and dill are two of my favourite examples. Although it gives me no pleasure to say this, overcharging of foreigners is much more prevalent in northern provinces than southern. This has been sadly true of all my trips between Saigon and Hanoi. Of course, having lived in Vietnam for 11 years, I’ve come to expect and (in some cases) accept a certain amount of overcharging. But the regularity of it in the north is a constant source of irritation and sheer disappointment to me. Everyday purchases, such as water, food, and even gasoline, often result in being ripped-off. In most cases, the amounts are small and insignificant, but I don’t like setting a precedent for other travellers by accepting the rip-off, so I tend to argue with the proprietor (as politely as possible). Many a time in the north have I sat down to a fabulous meal and, afterwards, the experience is ruined by an absurd bill. And so I have to make sure that, before any meal or drink, I ask the price before consuming it. This is tiresome, but it’s the only way to prevent being constantly overcharged. Architectural features that seem particular to the north are pitched roofs and turrets. From Dong Hoi onwards, many ordinary townhouses sport pitched, tiled roofs; some of them are at such an angle that they form little turrets. Southern rooftops, on the other hand, are either flat or gently sloping. Perhaps the pitched roofs have something to do with the influence of the astonishingly elaborate ecclesiastical architecture in northern provinces. Some of the churches – even in remote, rural villages – are fantastically overblown: Disney-esque creations of fairy-tale turrets, domes and decorative flourishes to rival the great Gothic cathedrals of Europe. Take a look at some examples here. People are more likely to wear full-face motorbike helmets (with visors, chin and jaw protection) in the north. However, I suspect this is as much about keeping warm during the cold winter months, as it is about safety. 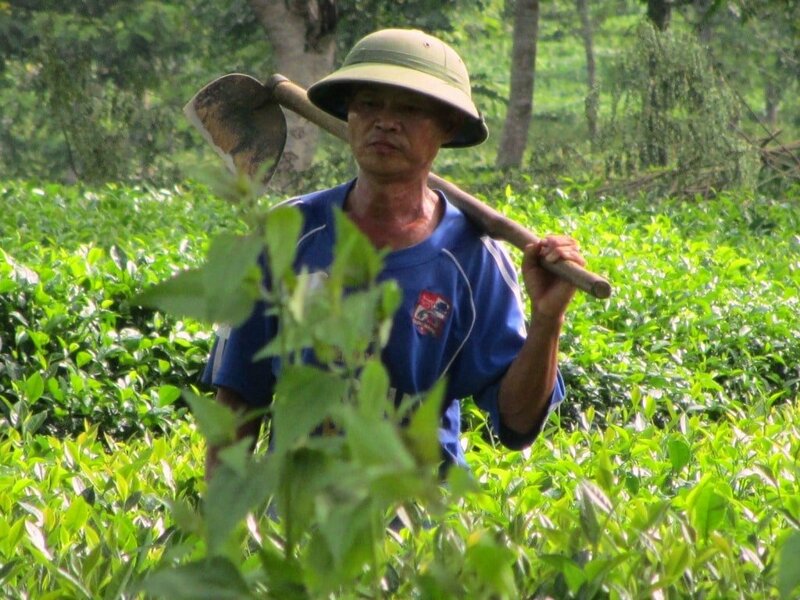 In the northern countryside, many farmers, laborers, and the general population, wear the green or camouflage army surplus overalls and pith helmets, that will be familiar to anyone who’s seen a Vietnam War movie. There isn’t quite as much ostentatious display of wealth in northern towns and cities. Fewer people flaunt new technological gadgets, don fashionable clothes, wear expensive jewelry, roar past on superbikes, or cruise around in luxury cars. This could be simply because people have less money in their pockets, or it could be the old stereotype that northerners save while southerners spend. Certainly, when I fly between Hanoi and Saigon, the latter is, on the surface at least, much more affluent: it’s bigger, busier, shinier, and people are ‘better dressed’. 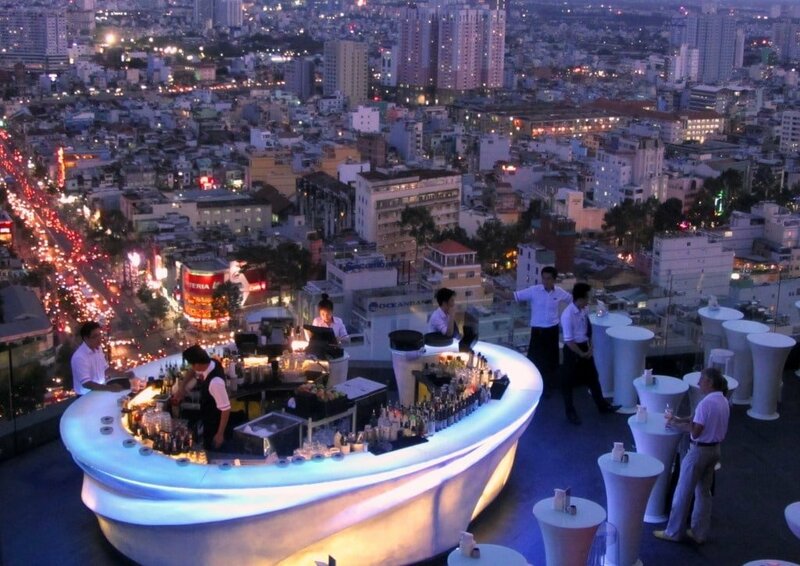 But this could just be the facade of conspicuous consumption that characterizes 21st century Saigon. Going north has always been about going higher: there are more mountains, and there’s more mystery, in the north. Central and northern landscapes are often characterized by limestone. Whether in Ninh Binh Province, Ha Long Bay, Pu Luong Nature Reserve, the remote northeast, or on the Western Ho Chi Minh Road; limestone karsts define the northern landscape. This is the scenery that I always look forward to, and this is the landscape that captures the Western imagination more than any other, when dreaming of exotic, tropical Asia. 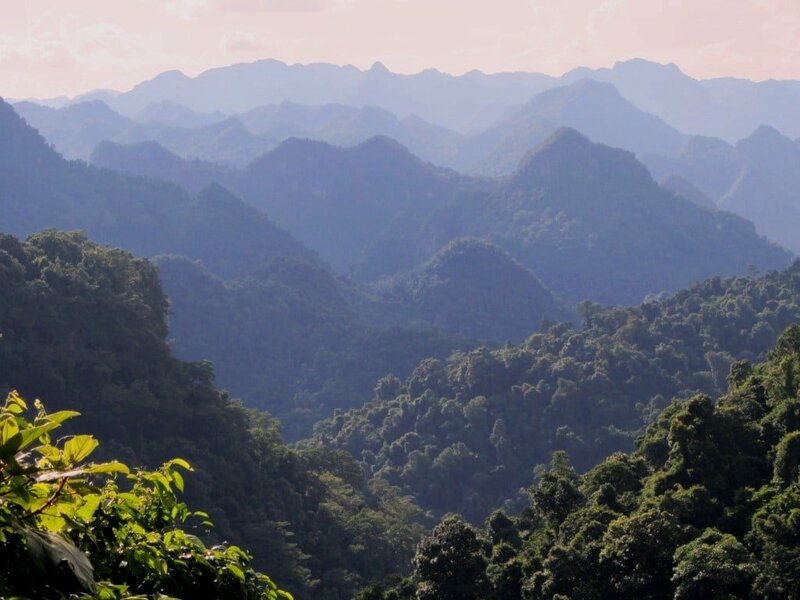 On any trip from south to north, the first sight of a limestone mountain covered in jungle is a thrill. Although WiFi and 3G is readily available absolutely everywhere in Vietnam (well, almost everywhere), the connection is less reliable as I travel north. Because I tend to spend the early mornings and evenings writing up my guides online, I’m often frustrated by bad connections while travelling. However, each time I travel the length of the country, the connections are better and stronger than the time before. 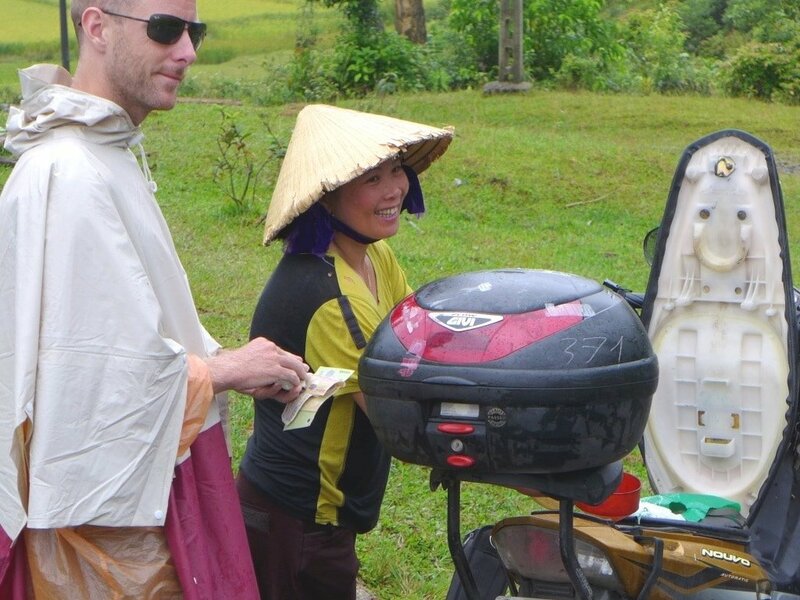 This entry was posted in ALL, DESTINATIONS, MOTORBIKE GUIDES, Resources, Resources, South to North and tagged blog, culinary, cultural, differences, divide, north, social, south, travel, Vietnam. Bookmark the permalink. Interesting artile, thanks for it. Could say a lot about all 23 points, but I’ll just comment on your language section. 1. May Lanh vs. Dieu Hoa. I dont think this is a regional variant, I hear both in all regions. Rather, I think may lanh refers to the old, box-like form of aircon, whereas dieu hoa refers to the more modern, lateral style. 2. Nuoc tuong vs. xi dau. Again, not so much a regional variation, xi dau is sino-vietnamese for soy sauce, whereas nuoc tuong is a more generic Vietnamese term for seasoning. BTW, where is the church in the photo? It sorta looks familiar, but I can’t quite place it. 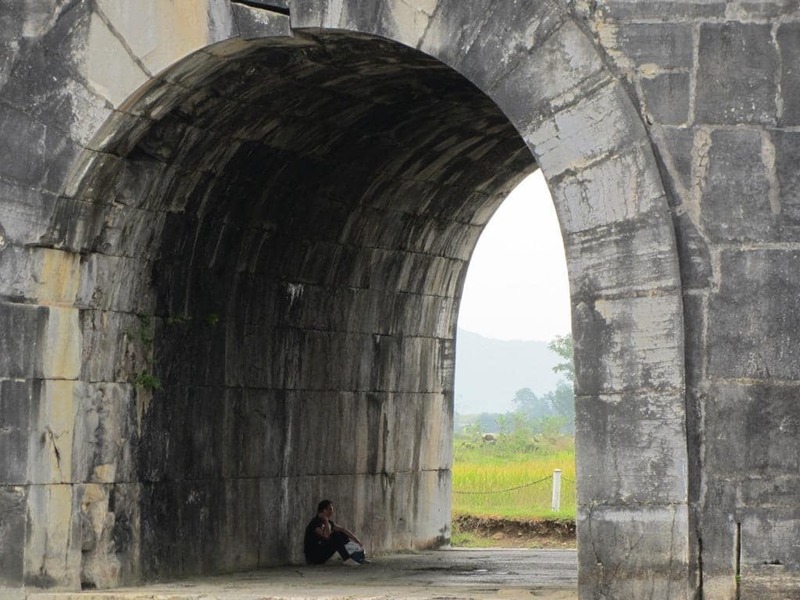 Thinking Ninh Binh? Thanks for those interesting points. Yes, I agree, xi dau is Sino-Vietnamese but it is much more common to hear it in northern provinces, which of course are closer to China, and one very rarely hears it in the southern provinces. And again, I’m sure you’re right about the differences between dieu hoa and may lanh, but the former is, in my experience, far more commonly used in northern provinces as opposed to southern. After 27 years going back and forth to all parts of VN, including 3 times in Dong Hoi, I have never made it to Phong Nha! I see. I hope you make it there some time soon – beautiful part of the country, I’m sure you’d love it. Nice listing and I agree with you on almost anything except for those that I have no idea about. I was born in the central, studied at university in the North and now living in the South, my brief observation is: life is easier in the Sounthern but more interesting in the Northern. Thank you for a great post, as always. Thanks, I’m glad you enjoyed reading it. 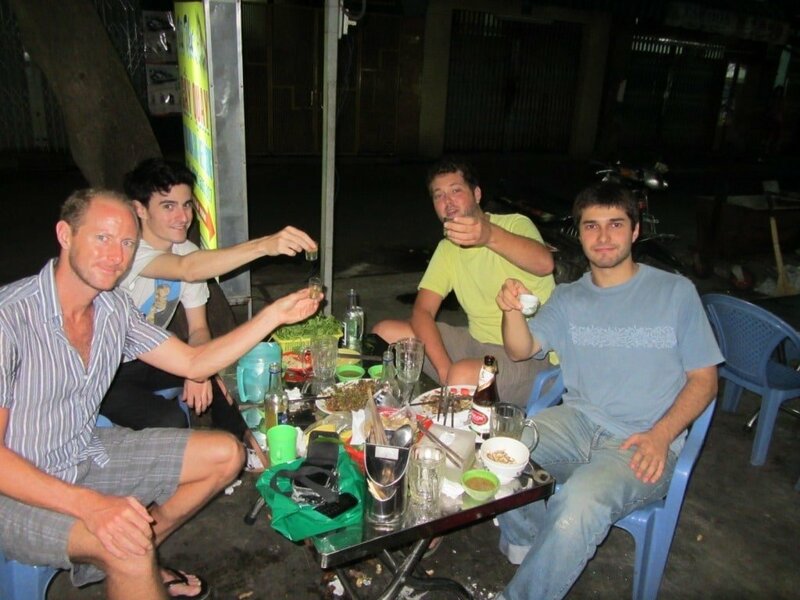 It sounds like you have a good balance of experience in Vietnam, having live in north, south and central. As always, interesting, informative and stimulating article. I’m heading out tomorrow from Saigon and will end up in Lao Cai in a month or two. You’ll be my guide. Thanks. I really enjoyed reading this article and looking at the pics. I think I have read almost all your food and drink articles. It makes me crave for Vietnamese food big time. Thanks so much for sharing your experiences with everyone. I love looking at all your photos as well, you take such beautiful pictures. Excellent job on this blog of yours. Considering all the travels and good eats you have documented, I wonder when you find the time to maintain this blog. Have you ever travelled to Laos, Vietnam’s neighbouring country. I’m still trying to search for a well written blog, similar to yours, about Laos. Was born in Laos but left when I was in kindergarten so I don’t have any memories of it and I haven’t been back. Thanks, it’s good to hear that you enjoyed reading this post and other articles too. I have been to Laos before and I liked it. But I don’t have much experience of it and I don’t know of any blog in particular about Laos. But there must be one. 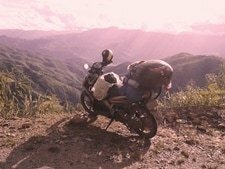 The Midnight Mapper created Laos GPS which is an amazing resource for bikers, but I’m not sure how much other content it has. I hope you have a chance to go back to Laos and explore your birth country sometime soon. Nice list and interesting observations :). 2). Coffee also gets more expensive when you get to the North. There was clearly a point – somewhere above Thanh Hoa where suddenly coffee started to cost 20k VND, everywhere (while south from there I usually paid 10k). There was maybe a place or two where I got it for 15k (still around this “change” point), but since then I never managed to get it for less than 20. 18). What I’ve noticed is also that there are much less sacral buildings in the North. While in the south every village had a temple or a church, here it’s very common to pass even quite sizeable settlements without any – usually the only huge buildings are some governmental offices. Also graves are much less noticeable – especially in the central parts you have very decorative graves, and everywhere – not really common sight in the north. 22). I can’t really agree about Internet. I’m working online so it’s very important for me as well, but so far even in very remote towns in the north I’ve never had a problem to find a stable connection (with speed of 15-30 mbps). The only times I’ve ever had problem with Internet here was when some guesthouse had not strong enough router and signal in my room was too weak – but I try to check it before deciding which room to take. It’s also very common that even simple eateries will offer wifi, and I spotted wifi few times even in street cafe (with router attached to the wall somehow). In general Internet connectivity in Vietnam is very impressive – not only compared with other Asian countries, but even with many in Europe. Thanks. That’s interesting about the sacred buildings. Although, it depends where you are in the north: for example, the Red River Delta provinces, like Thai Binh and Nam Dinh, are full of religious buildings – from Buddhist temples to Christian cathedrals to ancestral shrines. I agree with the price of coffee! Yes, I think in general the internet coverage in Vietnam is very good. But I don’t say that the internet is ‘bad’ in the north (I also work online), just that there are more occasions in the north where the connection is not stable (in some guesthouses, for example) compared to the south.